Today has been a wild and crazy Monday. My phone has been ringing off the hook. I have had about 88 million people come into my office for different reasons. I just realized I haven't even had my morning coffee- That is BIG, people. Needless to say, I am feeling stressed right now. So, I decided to take a few minutes and "re-frame" my Monday blues in hopes to turn my day around. And what can always turn my day around? A fun and funky antique store find. Yesterday I found two fun and inexpensive pieces at a local antique store. The owner actually had magazines for sale in this basket and when I asked him how much he would take for the basket he said, "Oh, that old thing?! Five bucks." SOLD. I didn't know what in the world I was gonna do with it, but didn't care. That was too good of a deal to pass up. 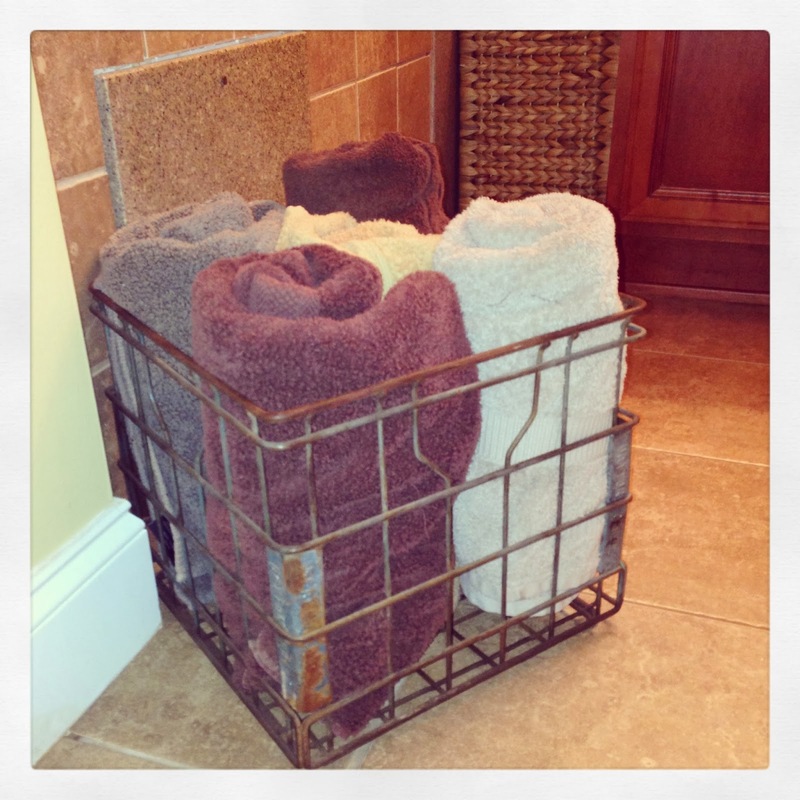 Next task... get all matching towels to put in it! 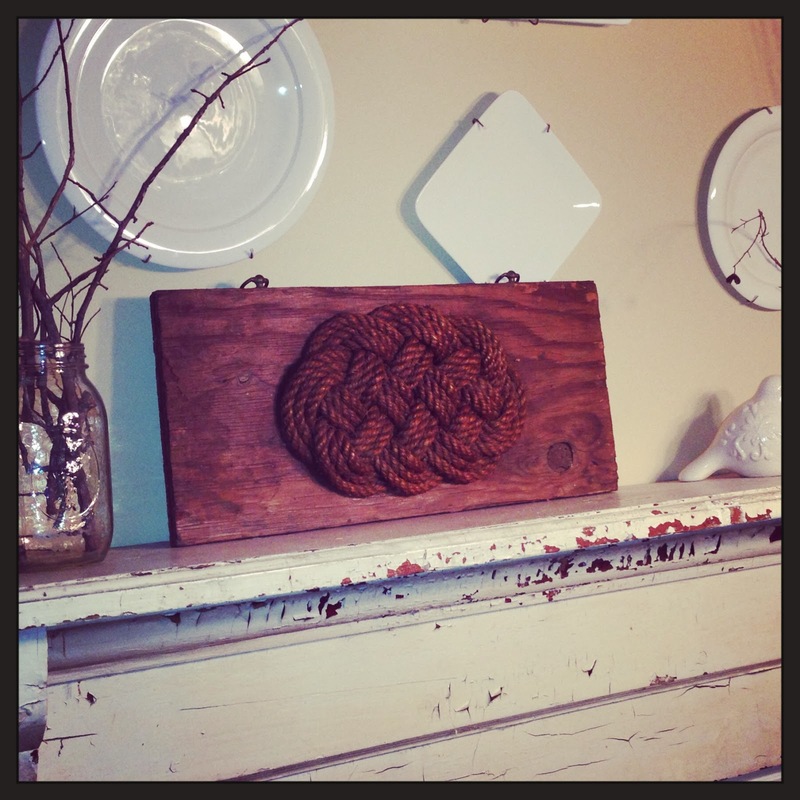 As I was strolling through the back of the store, I saw this fun nautical knot afixed to a board... fun, right?! Random, right?! Just my style! It is called "The Lovers Knot." After doing a minimal amount of research, I was able to find out and that "Lover's Knot" is a symbol of love, friendship and affection. What better thing to have around to look at and remember these important things in life? I <3 weird antique finds.